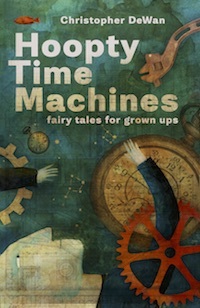 To schedule an event, please contact info@hooptytimemachines.christopherdewan.com. Sidewalk Signing at Farley's Book Shop, 12pm-3pm. The Red Room at KGB Bar, 7pm. The Avid Reader at Tower, 4pm. Stories on Stage Davis. With Ramona Ausubel. 7:30pm.